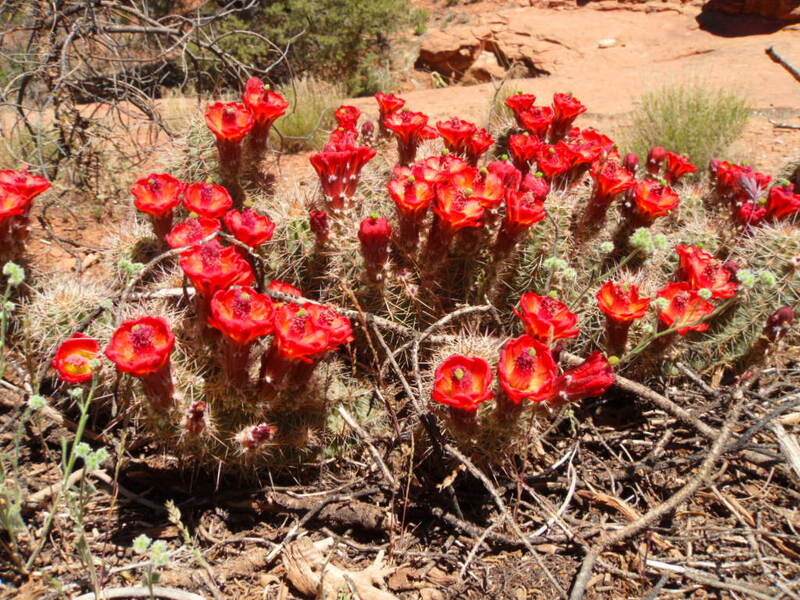 Echinocereus Triglochidiatus, is one of many species in the same genus known as hedgehog cactus. 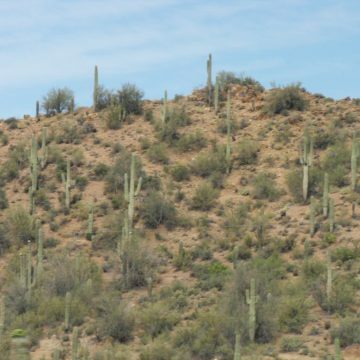 This name is given due to the mass of spines guarding the stems of these short columnar cacti which usually stand no more than 10″ high. 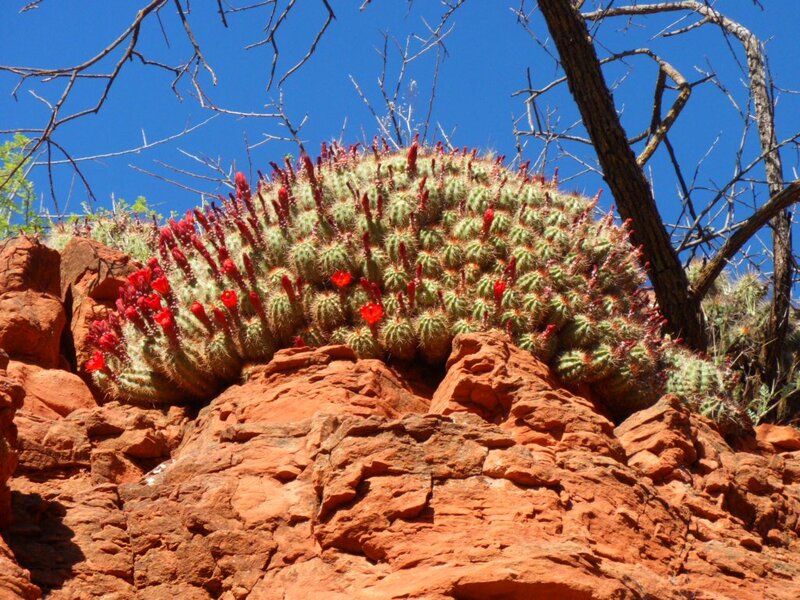 These cacti with their bright crimson flowers are often found on rocky slopes of the southwestern U.S. or northern Mexico where they usually gather in clumps to bask in full to partial sun. 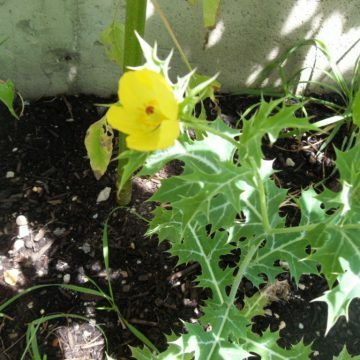 A cactus that is not in bloom may easily go unnoticed hiding under a shrub or log. But the flowers of this Crimson Hedgehog Cactus will attract any passing eye just as anthers caked with pollen attract bees and even hummingbirds. 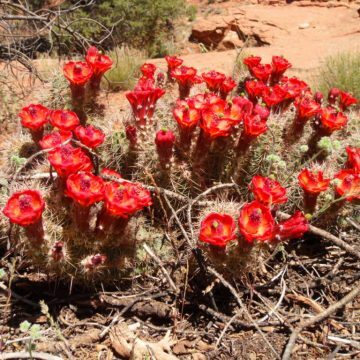 Also nicknamed “Strawberry Cactus,” Echinocereus Triglochidiatus produces small red fruits that are said to be sweet and juicy. 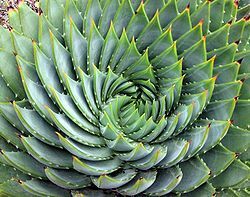 They are eaten raw or cooked. 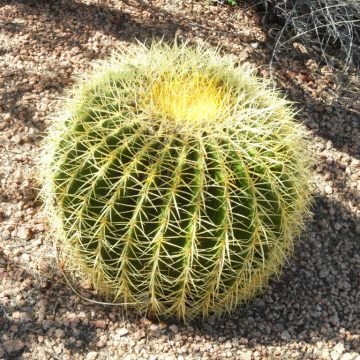 Being native to the high desert, hedgehog cacti can withstand harsh conditions, including temperature drops down to 20 degrees Fahrenheit. Echinocereus Triglochidiatus plants are reportedly hardy from zones 8b-11, but other sources suggest that even colder zones will work. 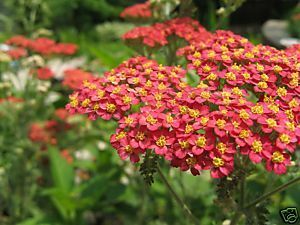 Elsewhere, they can be brought indoors for the winter months.